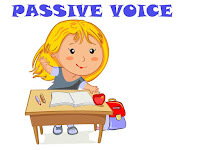 Voice dalam konteks Passive Voice artinya Verb (kata kerja). 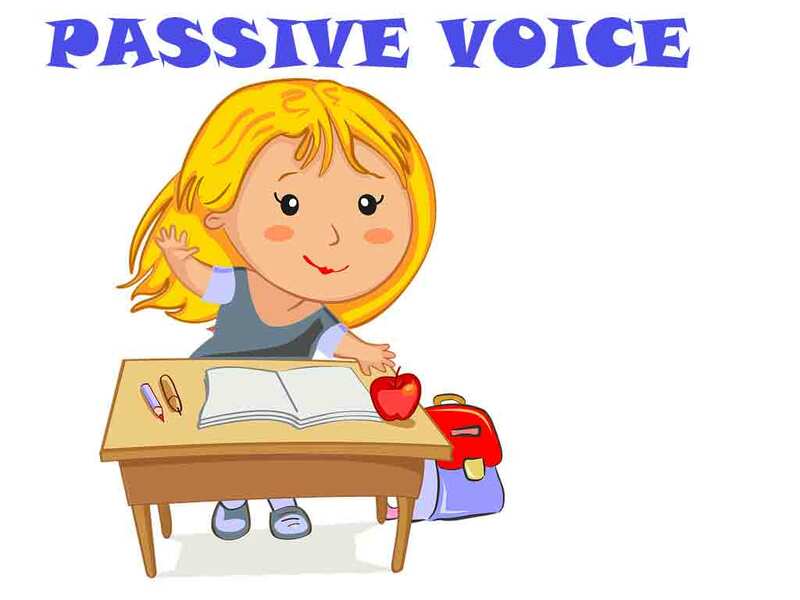 Ada dua jenis kata kerja yang bersifat aktif ( Active Voice ) dan kata kerja yang bersifat pasif ( Passive Voice ). Kalimat aktif / Aktive Voice adalah kalimat yang doer/ agent atau pelaku atau yang melakukan pekerjaan berada di posisi subjek. Pola kalimatnya : S + V + ( O + adverb ). S ( Subjek ) sebagai pelaku, dan V ( Verb ) bermakna ber... atau me...Disebut kalimat aktif karena pelakunya berada di posisi subjek dan objeknya dikenai pekerjaan. Contoh : Rani puts an apple on the table. Sedangkan kalimat pasif / Passive Voice adalah kalimat yang doer/ agent atau pelaku berada di posisi objek dan secara grammatical diawali oleh preposisi by yang artinya oleh. Contoh : An apple is put by Rani on the table. Yakni kalimat yang kata kerja utamanya ( Ordinary) berupa selain be. 2. Menggunakan Transitive Verb yakni kata kerja yang membutuhkan objek, baik yang diikuti oleh 1 objek (Monotransitive ) maupun yang diikuti oleh 2 objek ( Ditransitive). 3. Kalimat yang berupa kata kerja yang berupa aktivitas ( Dinamic Verb ). Have/has secara struktur tidak bisa dipasifkan , tetapi secara meaning bisa dipasifkan dengan catatan mengganti have/has dengan belong to. Active : Ninda eats healthy food everyday. Passive : Healthy food is eaten by Ninda everyday. Active : Fina is watering some flowers. Passive : Some flowers are being watered by Fina. Active : Dony has driven a new car. Passive : A new car has been driven by Dony. Active : Tomy has been drawing some pictures. Passive : Some pictures have been being drawn by Tomy. Active : Lany paid a tax last week. Passive : A tax was paid by Lany last week. Active : Three workers were lifting a big cupboard. Passive : A big cupboard was being lifted by three workers. Active : A raging storm had destroyed hundreds houses. Passive : Hundred houses had been destroyed by a raging storm. Active : Sinta had been slicing some meat in the kitchen. Passive : Some meat had been being sliced by Sinta in the kitchen. Active : Jenny will visit many tourism places next holyday. Passive : Many tourism places will be visited by Jenny next holyday. Active : Evi will be supervising examinees at 7 tonight. Passive : Examinees will be being supervised by Evi at 7 tonight. Active : Astronomers will have built new space station by 2040. Passive : New space stations will have been built by astronomers by 2040. Active : Joe will have been finishing his master degree by the end of June next year. Passive : Joe's master degree will have been being finished by him by the end of June next year. Active : Culled would make a checking account last Monday. Passive : A checking account would be made by Cullen last Monday. Active ; A taxi driver would be taking some passengers to the airport. Passive : Some passengers would be being taken by a taxi driver to the airport. Active : Some architects would have been designed a hundred story building. Passive : A hundred story building would have been being designed by some architects. Active : Three scientists would have been researching an incurable disease. Passive : An incurable disease would have been being researched by three scientists. Demikian penjelasan tentang pengertian, rumus dan contoh kalimat Passive Voice . Semoga bermanfaat dan mohon maaf bila ada kekurangan. Keep spirit and good luck !